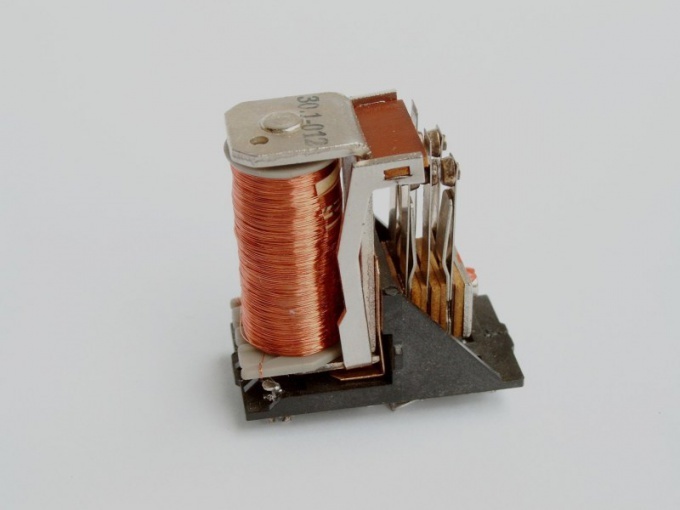 The solenoid is a mechanical device and therefore prone to wear. Before installing in a circuit it must be checked. To implement this operation, use the equipment available at any DIY. Check the Pinout of the relay. First of all, find out where he located the terminals of winding. Also find the location of insights groups of contacts: normally open (which close when triggered) and normally closed ( which open when triggered). If the documentation for relay in English, the phrase "normally open" means normally open contacts, "normally closed" - normally closed. The so-called switching contacts can be represented in the form of two groups, one of which is normally open and the other normally closed, and which are United at one terminal in such a way that their total number is reduced from four to three. If the voltage of the relay is unknown, and only known current, measure the resistance of the coil. Then multiply the measurement result on the current (pre-translating both values are in SI units) and you will get a tripping voltage in volts. This method of verification is not applicable for the relay windings of the alternating current. If during the previous operation you measured the coil resistance of the relay at the same time you found out that winding. If such measurement you have not carried out, swipe it out. During measurements do not touch the terminals of winding and leads of the ohmmeter to not get hit by the voltage of self-induction. The coil alternating current apply AC voltage only. Diode not continuite. Try to apply for the winding of a constant voltage equal to the voltage of operation. If the relay properly, it will work. Conclusions windings and the terminals of the source at the same touch for the same reason. It is useful to bridged coil diode 1N4007 connected in reverse polarity, but this is not to perepryatyvat winding to avoid short-circuit. Touch live circuits in the presence of the diode it is impossible anyway, since he can at any moment fail. Using ohmmeter, check the status of each group of contacts. When the voltage across the coil no, no group should be open, normally closed - circuited. When the stress situation must change in the opposite direction.